Fuerteventura is the longest Island in the archipelago measuring 98km from north to south and tis he second-largest Canary Island after Tenerife. 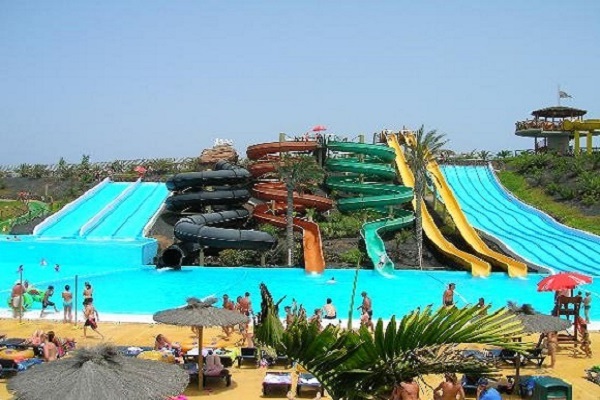 There is no other island in the Canaries with as many enormous sand dunes and long sandy beaches (more than one hundred and fifty). 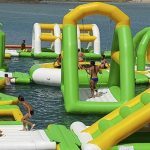 Whether you want action or relaxation, cultural days spent seeing the sights or the chance to indulge in some retail therapy – there are things to do in Fuerteventura to cater to every need. 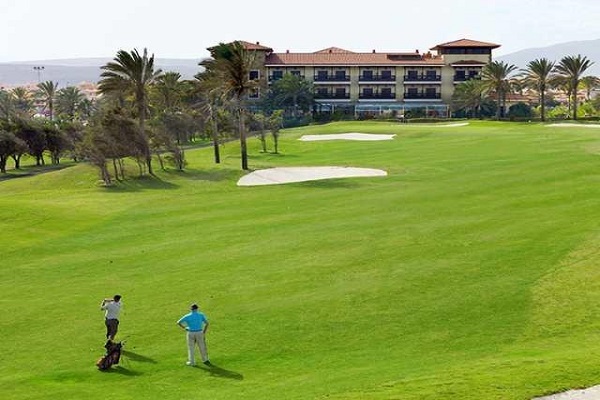 From its stunning beaches to its spectacular scenery, the Canary Island has everything. Soak up the year-round sunshine on pristine white sand beaches in Fuerteventura. 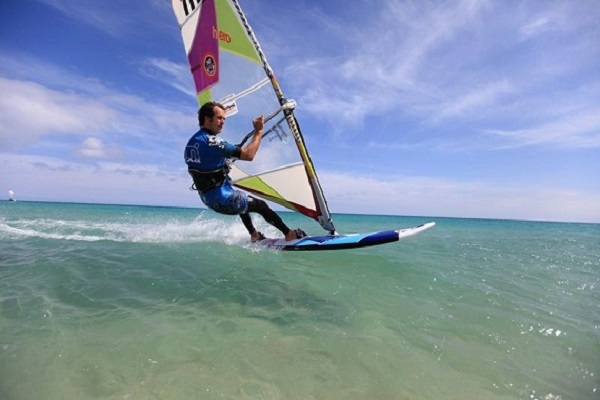 Or take advantage of the island’s breezy climate and try kite- or windsurfing. Gaze at the jaw-dropping National Park scenery or stroll around historical towns. Shop at bustling malls, then dine alfresco on mouth-watering seafood fresh from the Atlantic. Even though most of the land on Fuerteventura consists of stone and rock, this island has some of the most impressive beaches in the whole of Europe. Approx 98km long and 30km across at the widest point. 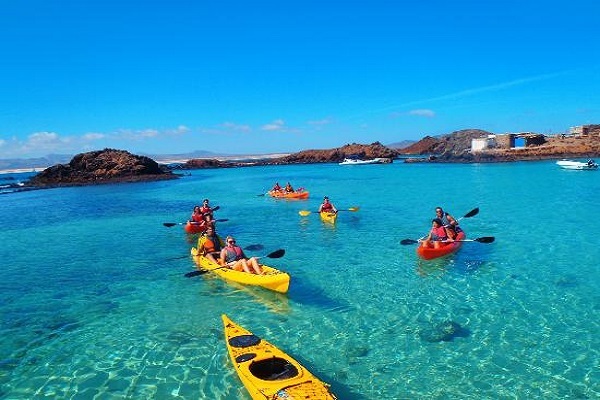 Water sports are very popular in Fuerteventura. Every year hundreds of surfers, windsurfers, kitesurfers and divers descend on Fuerteventura and during July the island is host to the P.W.A world windsurfing speed and slalom event at Sotavento in the south. Kitesurfing, also well known as kiteboarding, is still one of the fastest growing action watersports. 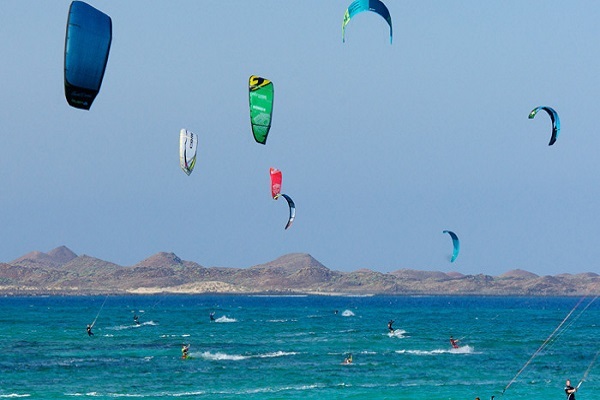 Fuerteventura is one of the absolute capitals of the kitesurfing sport, one of the best spot for kitesurfing in Spain. Strong winds are part of the deal, making this island a world-renowned windsurfing spot, but there are plenty of good surfing waves to be found in the calmer winter months. Fuerteventura translates as “Strong Winds” and is the closest you can get to the conditions of Maui on a cheap charter flight. The north of the island has less wind than the south, but picks up a swell with some great surfing and windsurfing to be had. 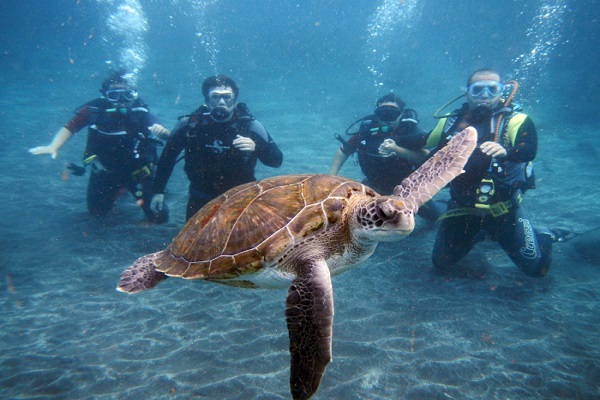 Fuerteventura is a great place to achieve your PADI certificate. It is rated amongst the top 10 diving destinations in the world with warm water and teeming with marine life. 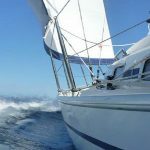 The Canarian archipelago offers sailors a whole new world to explore. The clear blue Atlantic waters surrounding the islands are home to a large variety of sea mammals including whales, dolphins and porpoises. 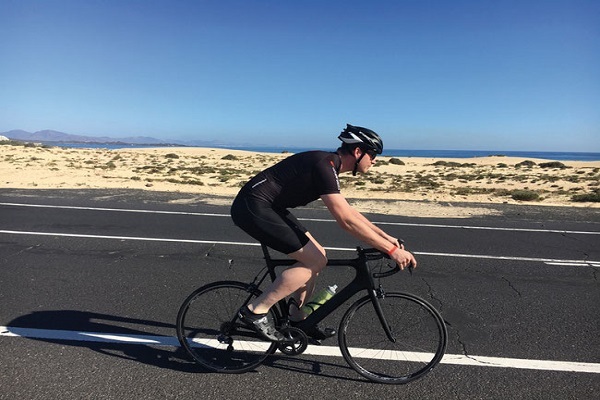 One of the best ways to explore Fuerteventura’s volcanic landscape is on two wheels. A pumped-up pair of tyres can go where no cars can, so you’ll get to see craters, rivers and mountains in close-up detail. 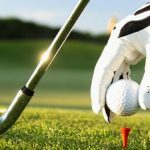 The Golf courses offer sunny weather all year long, a temperature of 22ºC, Golf Courses designed by the best professionals, and delights in the special natural conditions of the islands. Craggy beaches, volcanic craters and beautiful views are on the menu on this 4×4 adventure. 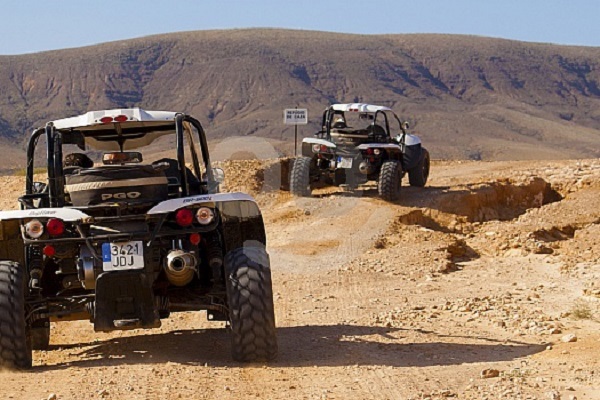 A fun day out for anyone wanting to see the hidden Fuerteventura. The most exotic regions of the world, and a refuge that enhances the survival of our ecosystem, have been recreated in a real oasis. The flora, has become an important ally of the most wonderful animals in the Canary Islands. 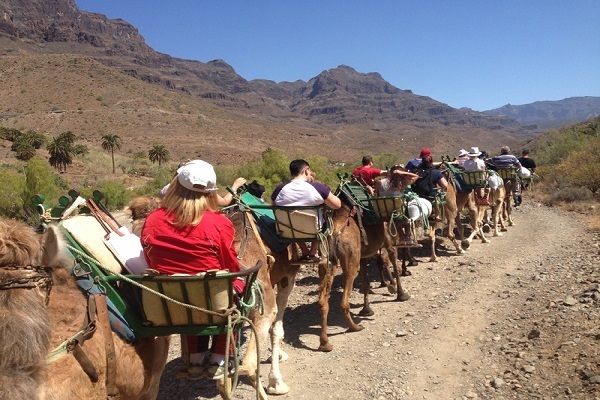 If you are looking for something different to do while in Fuerteventura why not consider Camel Safari and Horseback Riding to experience the freedom and tranquility this beautiful island has to offer. 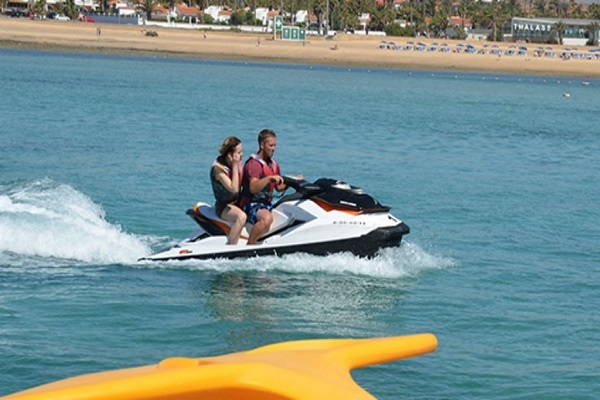 Enjoy the assortment of boat trips that are offered in Fuerteventura all year round. Spend half a day sailing in our glass bottom boat. Discover the beautiful coastline around three islands: Fuerteventura, Lanzarote and Lobos.